Having recently discussed long s (in some detail), I want to turn my attention to r rotunda, in the second of a series of posts related directly or indirectly to the Proposal to add medievalist characters to the UCS (N3027) co-authored by Michael Everson and members of the Medieval Unicode Font Initiative (MUFI). This is a very important proposal to encode many letters and abbreviations used in medieval manuscripts or used by scholars of medieval manuscripts. 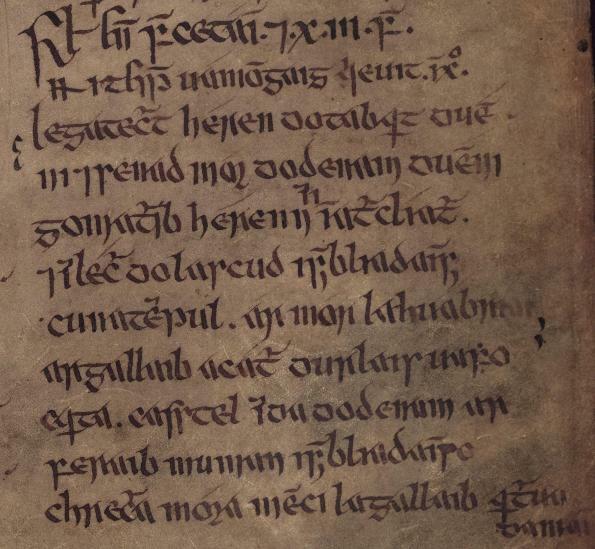 I very much support the encoding of characters which will finally allow textual scholars and pedants such as myself to faithfully reproduce the contents of medieval manuscripts and early printed books in electronic text format; although, as some of my readers already know, I do have concerns over some of the characters proposed in N3027. R rotunda is a '2'-shaped variant form of the lowercase letter 'r' used in medieval manuscripts and early printed books. Like the long-s, r rotunda only occurs in lower case, but whereas long-s is normally used initially and medially within a word but not finally, r rotunda is used medially and finally in a word after certain letters but never initially. Furthermore, r rotunda is normally only used in blackletter styles of typeface (or Gothic styles of mansuscript). 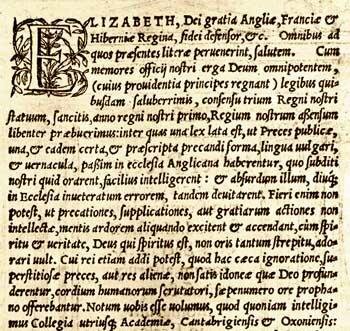 Therefore, when roman typefaces replaced blackletter for printing during the sixteenth and seventeenth centuries, r rotunda disappeared from the scene. 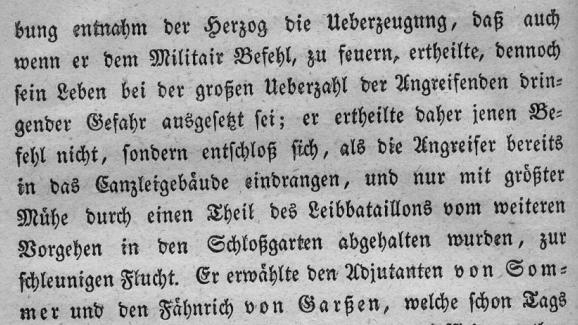 As far as I can tell, in recent centuries, German books set in Fraktur do not use r rotunda. R rotunda apparently developed from a ligature of the letters O and R (minuscule 'r' being written as 'R' in half uncial scripts) where the lefthand stroke of the 'R' merged with the 'O'. I'm not sure exactly when or where this happened, although I'm told that r rotunda is first seen in the southern Italian Beneventan script that developed during the 8th century. 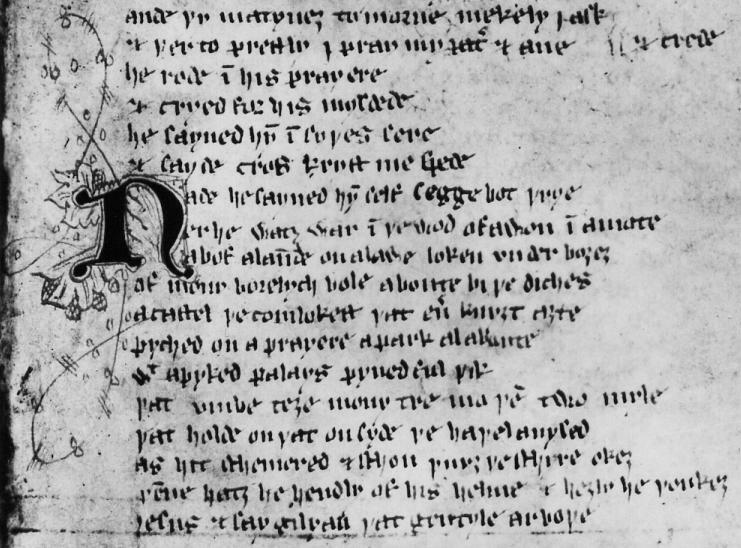 You can certainly see r rotunda and its cousin rum rotunda (r rotunda with a stroke, used as an abbreviation for Latin -rum) in British Library MS Burney 284, but this is comparatively late in date (late 11th to early 12th century) and so not particularly significant. 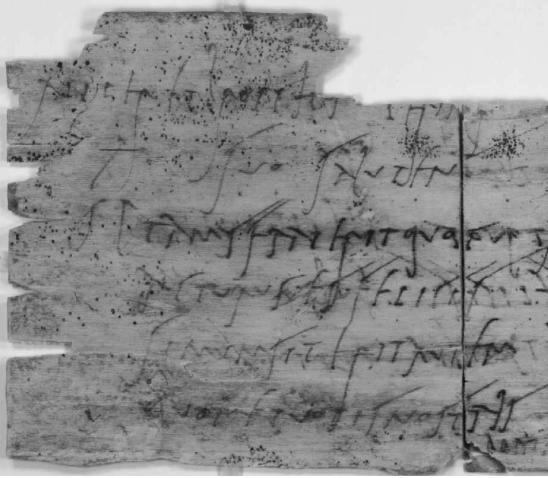 Unfortunately, I have found it hard to find any examples of early Beneventan manuscripts, so I can't really confirm or deny the theory that r rotunda originated in the Beneventan script. "adoret" (line 5), "iſtorum" (line 5), "pſalmorum" (line 5), etc. "probauerunt" (line 3), "Quadraginta" (line 4), "corde" (line 6). "februarie" (line 1), "three" (line 2), "ſhores" (line 5), "ſpright" (line 12), "droue" (line 13), etc. In order to try to come to an understanding of the rules for using r rotunda in printed books, I have roughly analysed the usage of r rotunda in a small selection of books written in various languages that were printed in blackletter type between the mid 15th and early 17th centuries. The results are tabulated below. With hindsight I should have noted for each book which letters ordinary 'r' follows as well as which letters r rotunda follows, otherwise it is not obvious whether a letter is not listed as preceding r rotunda for a particular book because the letter only precedes an ordinary 'r' or because there are no examples of any sort of 'r' following that letter in the book. Although I do not have the time or energy to go back and repair this omission at the present time, in a few cases I have explicitly indicated that a particular letter is not followed by r rotunda by enclosing it in square brackets (thus [y] for The Canterbury Tales means that 'y' is followed by ordinary 'r'). An asterisk is used to indicate cases where a particular letter is mostly followed by ordinary 'r', but occasionally by r rotunda. Single anomalous occurences of r rotunda where ordinary 'r' would be exepected or ordinary 'r' where r rotunda would be expected are generally ignored. 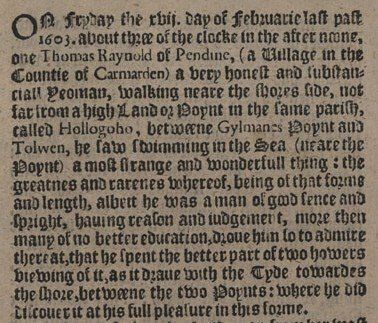 † Actually printed secretly in a cave on the estate of Robert Pue of Penrhyn Creuddyn during 1586 and 1587. There is a core set of letters with a final rounded stroke (B, D, O, P, V, W, b, h, o, p, v, w) after which r rotunda is almost always used, regardless of place or date of publication. The letter 'd' is normally followed by r rotunda when it has a bent back, but not if it has a straight back. The letter 'y' mostly takes r rotunda, but not in all books. The only letter that consistently takes r rotunda where ordinary 'r' would normally be expected is the letter 'r' in the Schönsperger Bible, where der herr "the Lord" (and inflexions) is written with an ordinary 'r' followed by r rotunda (see picture in rules for long s). An apostrophe can intervene between r rotunda and a preceding letter, thus Welsh o'r is written with r rotunda. What is also striking is that in almost every book examined the rules of r rotunda are not applied uniformly, and there are cases where ordinary 'r' is found after a rounded letter such as 'o', as well as cases where r rotunda is found after letters such as 'a' or 'i' that should be followed by ordinary 'r'. Y Drych Cristianogawl is an extreme example of eratic usage of r rotunda. It starts off with fairly well-defined rules, but about half way through the book we start to see r rotunda popping up after all sorts of letters that should not take r rotunda -- presumably one of the hazards of printing illegal Catholic tracts secretly in a cave (other than being burnt at the stake) is that you may have to rely on unskilled typesetters. In the case of capital 'G', it is not at all clear which form of letter 'r' it should be followed by, as almost all the books which have examples of G plus r rotunda also have counter examples showing G plus ordinary 'r'. Thus, it seems to me, the rules for r rotunda are less well defined and less strictly enforced than the rules for long s.
More on r rotunda tomorrow. they are properly put after the following Capitals, viz. ters, viz. b d h o p and w.
painful ſtudy which attends writing De Origine rerum. The Printer's Grammar (London, 1787) page 112. The rules stated by Smith accord fairly well with my empirical observations, with the exception that the letter y is also usually followed by r rotunda. Unicode 5.0 was finally released yesterday (although it won't be published in book form until later this year), several months after its original anticipated date of release (see What's New in Unicode 5.0 for a sumary of what's new). This is a small triumph for me as I am responsible for the introduction of one of the new scripts now covered by Unicode, the historic 'Phags-pa script that was used for writing Chinese, Mongolian and other languages during the 13th and 14th centuries (there is a worthwhile story here about the long and sometimes fraught passage from initial proposal to final encoding of the script, but it will have to wait for another day). A new version of Unicode inevitably means the release of new versions of my flagship software products, BabelMap and BabelPad, and so I am pleased to announce that BabelMap version 5.0.0.1 is now available for download. Up until a few days ago a new Unicode 5.0 enabled version of BabelPad was also ready for release, but as usual I couldn't leave things well alone, and decided to add in just one more feature; and of course this feature required me to entirely disembowel the code, so that it is now in a wretched and lifeless state (as my friends in the programming fraternity know, I am a keen exponent of the art of eXtreme reFactoring) ... but hopefully BabelPad (with many great new features) will be released before the end of the month. My number one question from new BabelMap users is "Why is such-and-such a character displayed as a little square box ?" or "Why doesn't BabelMap support such-and-such a script ?" The reason for such questions is almost invariably that the characters they want to see are not available in the default font that BabelMap uses when it is first started (Tahoma), and they do not realise that they have to select an appropriate font to see a particular character. For me it is obvious that any given font only supports a particular subset of the Unicode repertoire (due to the 64K glyph limit for TrueType fonts, it is physically impossible for any font to cover the entire Unicode repertoire of 99,098 characters), and so you may need to select different fonts to display different characters; but for many people this is not at all evident. I have therefore changed BabelMap so that you can either select a single font to display all characters (good for seeing what a particular font covers) or use a user-defined virtual, composite font in which each Unicode block is mapped to a particular font on your system, with the result that different Unicode blocks will be rendered using different fonts (good if you are more interested in characters than fonts). By default BabelMap will use a composite font when run for the first time, so that most characters in the BMP should be displayed OK if you are running Vista, and hopefully I should get fewer questions from new users about little square boxes. My OpenType Analysis Tool is still half-finished, and with no time to work on it, it won't be available until sometime year. I am also planning to add in the ability to take a picture of a character as rendered using the selected font, which will be made available to the clipboard as a bitmap image ... useful if you want to display a character on a web page in situations where you doubt that the end user will have an appropriate font. P.S. You may notice that I have done away with the arbitrary version numbering system that I previously employed (which never got beyond version 1 and never would have), and replaced it with a four-digit version number that is linked to the version of Unicode that the particular release of BabelMap/BabelPad supports. The first three digits of the version number now correspond to the Unicode version supported, and the last digit is the version of the BabelMap/BabelPad released for this version of Unicode. Thus, the new release of BabelMap is version 5.0.0.1, as it is the first release supporting Unicode 5.0.0. 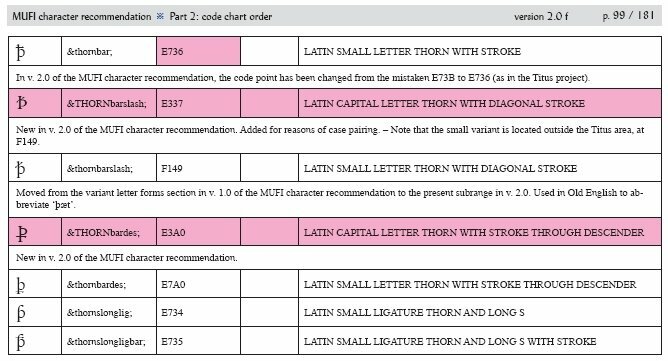 Following hot on the heels of the announcement of the release of the Unicode 5.0 character database (but not the publication of the actual Unicode 5.0 standard) on 2006-07-14 comes the notice of publication of the corresponding ISO/IEC 10646: 2003 Amendment 2, two weeks earlier (on 2006-07-01). It's a bit of a chicken and egg relationship between Unicode and ISO/IEC 10646, further confused by the fact that although ISO/IEC 10646 Amd.2 was published before Unicode 5.1, Unicode 5.1 includes four characters (U+097B, U+097C, U+097E and U+097F) from ISO/IEC 10646 Amd.3, which won't be published until next year ... along with Unicode 5.1. And by that time we'll be well into the work of Amd.4 (corresponding to Unicode 5.2 or 6.0), which should finally include Egyptian Hieroglyphs (or at least the Gardiner subset). I have definitely seen Renaissance English texts (though I can't remember which particular examples) where in a double s the first is long and the second short. I was under the impression that this was the origin of the German Eszett, which looks like a long-s followed by a short-s, though maybe I'm wrong about this. The German eszett is a long-s followed by a z.
Wikipedia does provide quite a good overview of German eszett ß, although I personally find it all a little bit confusing. As my previous post on long-s left much unsaid about the origins of the long-s, which should perhaps have preceded any discussion of its rules of usage, I shall endeavour to give a brief, illustrated history of the letter "s", culminating with my take on the eszett issue. Western paleography isn't my area of expertise (although I do profess a certain dilettantish interest), so I expect my more learned readers to correct me where I may have inadvertently strayed from the truth. "suo" (line 2), "salutem" (line 2), "simum" (line 5), "sit" (line 5), etc. In New Roman Cursive the way the letter was written changed so that the letter starts with a vertical downstroke but is followed by a curving upstroke (see Vindolanda I Fig.10), resulting in a letter that looks similar to our modern letter "r". 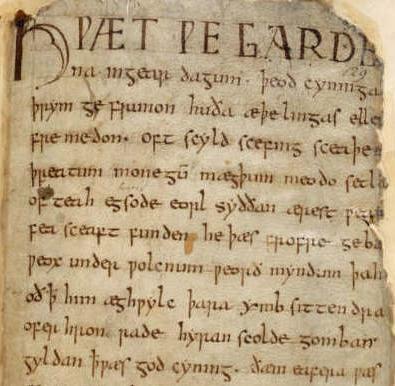 Most of the early medieval scripts that devloped from the Roman cursive tradition, such as Merovingian (developed in France during the 7th century), Visigothic (developed in Spain during the late 7th century), Beneventan (developed in southern Italy during the 8th century) and Carolingian (developed at the court of Charlemagne at the end of the 8th century), inherited this form of the letter s.
"se" (line 1), "his" (line 3), "giongorscipe" (line 3), "gesceop" (line 5), "swa" (lines 6-10), etc. "senad" (line 4), "lascud" (line 6), "durlais" (line 8), "casstel" (line 9). "eiuſ" (line 2), "ſcientiam" (line 5), "ſermoneſ (line 6). In all the examples given above long-s is used exclusively, and I have not been able to find any examples showing a consistent positional distinction between long-s and short-s prior to the 12th century, although my guess is that a positional distinction between the two forms of the letter "s" first arose sometime during the 11th century. 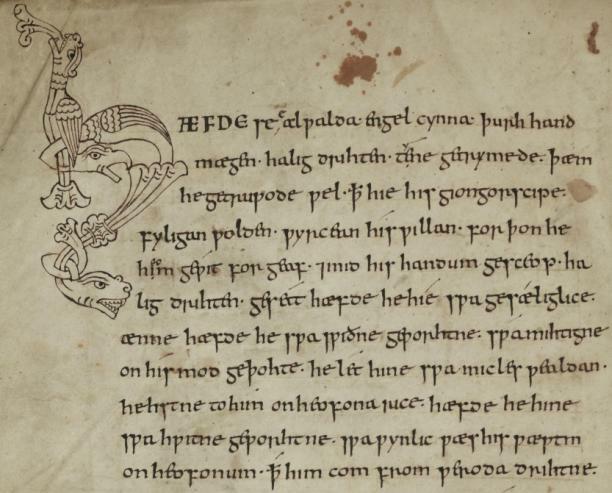 Sir Gawain and the Green Knight (British Library Cotton MS Nero A X folio 101a). "ſayned" (line 7), "ſelf" (line 7), "ſegge" (line 7), "diches" (line 10), "caſtel" (line 11), "palays (line 13), "Ieſus" (line 18) etc. 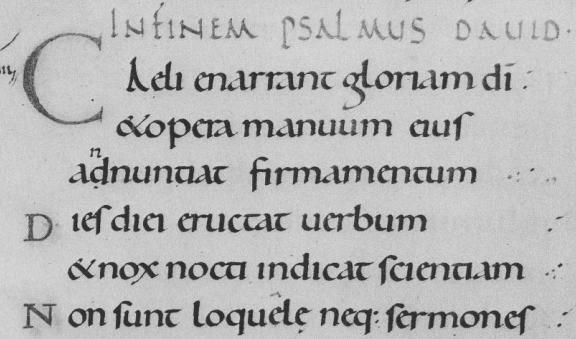 Eventually, during the Renaissance, the simpler and cleaner Carolingian script was revived under the name littera antiqua. 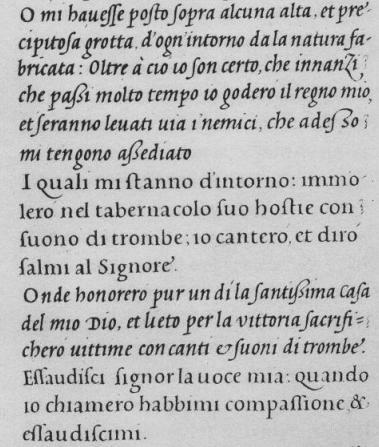 The example below is from a manuscript written by Ciriagio at Florence in 1454. 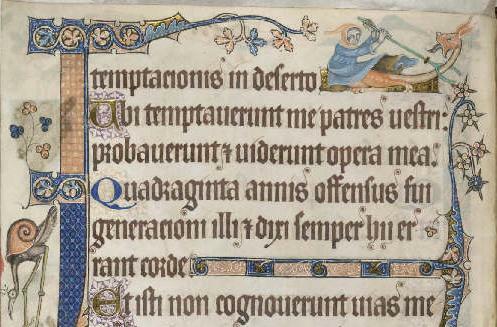 Note how in this manuscript long-s is used exclusively in all positions, imitating original Carolingian practice; but by the end of the 15th century the rule of using short-s finally and long-s only initially and medially had become firmly established. 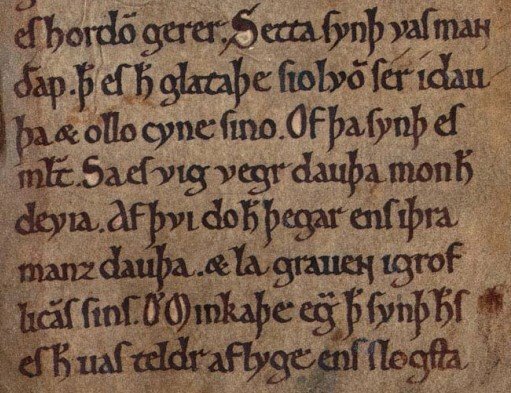 "æþelingaſ" (line 3), "ſcyld" (line 4), "wæſ" (line 11); but note the anomalous "syððan" (line 6). 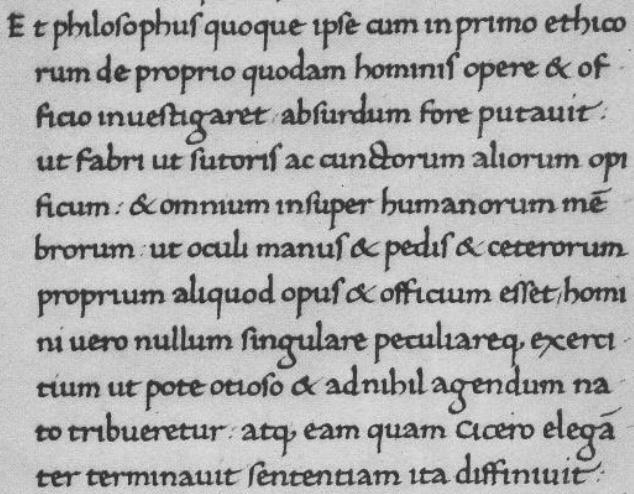 During the 15th century cursive forms of the revived Carolingian style script (Antiqua) started to develop in Italy, including the Chancery hand that was approved for use in the Vatican by Pope Eugenius IV (1431-1447). The distinction between roman and italic hands is apparent in this 16th century Italian manuscript. What is interesting to us is that in the roman script double-s is written using a ligature of long-s and long-s, as is the case with 18th century roman typefaces, but in the italic script double-s (whether medial or final) is written using a ligature of long-s and short-s, which is very similar in form to the German sharp s ß. "paßi" (line 4), "adeßo" (line 5), "aßediato" (line 6), "santißima" (line 11); "eſſaudiſci" (line 14), "compaſſione" (line 15). And in this beautiful handrwiting from an influential book of scripts published by G.B. 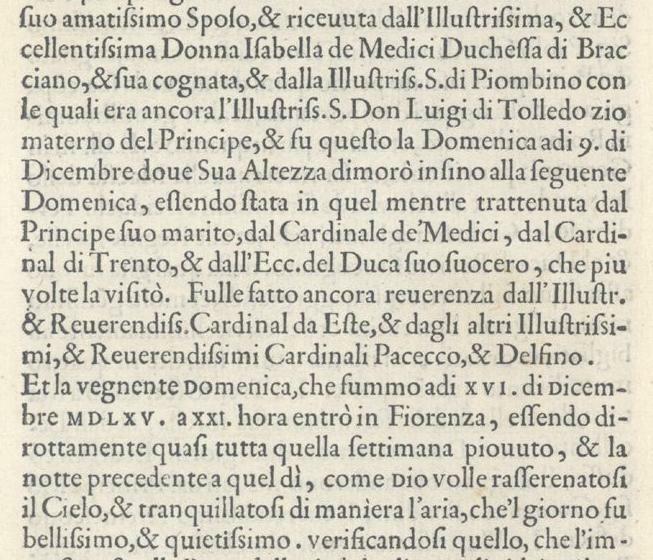 Palatino in 1544 you can see some more examples of the double s ligature. "appreßo" (line 4), "eßer" (line 6). "aßensum" (line 7), "paßim" (line 10), but "eſſe" (line 19). Whilst Antiqua typefaces had come to dominate the printing trade in most of Europe by the early 17th century, blackletter typefaces, derived from the Medieval Gothic script, continued as the normal typeface for printed books in Germany until the 20th century. What may perhaps be surprising to those unfamiliar with German set in blackletter typefaces is that where German words in modern type are written with an eszett or sharp s (ß), in blackletter typefaces a ligature of the letters long-s and z is employed. 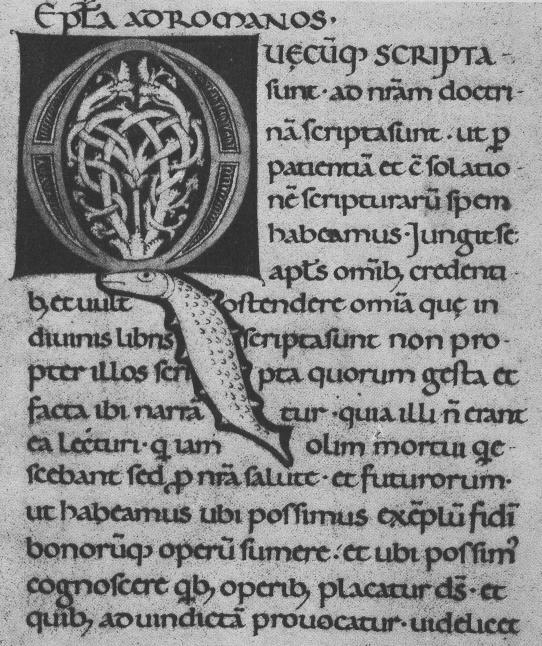 My first example comes from Johann Schönsperger's 1490 German Bible, which is set in the Schwabacher typeface favoured during the late 15th and early 16th centuries. Here the "ſz" ligature looks quite similar to the "ſs" ligature, as the top of the 3-shaped letter "z" ligates with the top of the long-s.
"heiſz" (line 1), "hauſz-fraw" (line 4), "auſz" (lines 7 and 12), "laſze" (line 9), "lieſz" (line 12), "paradeÿſz" (line 13). My second example, dating from the early 19th century, is set in a traditional Fraktur typeface. In the Fraktur typeface the letter "z" does not join to the top of the long-s, so that the ligature is much more clearly an "ſz" ligature, not an "ſs" ligature. "daſz" (line 1), "groſzen" (line 3), "entſchloſz" (line 5), "gröſzter" (line 6), "Schloſzgarten" (line 8), "Garſzen" (line10). 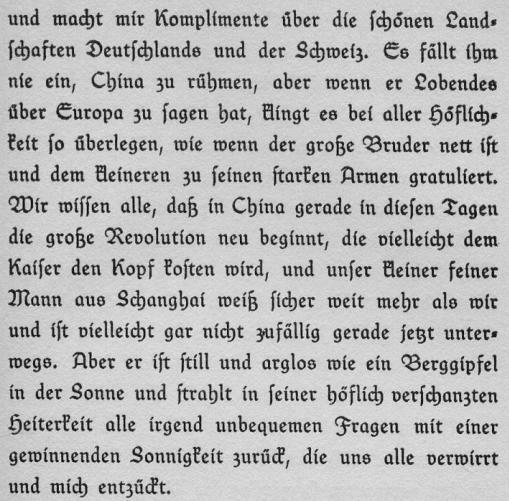 My final example is from an early 20th century book, set in what I would describe as a very modern and readable rounded semi-Fraktur typeface. "groſze" (lines 5 and 8), "daſz" (line 7), "weiſz" (line 10). 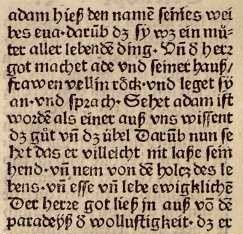 When German books were printed in Antiqua typefaces, as they occasionally were from the 17th century onwards, the "ſz" ligature was replaced by the "sharp s" ß. What I'm not entirely certain about is whether the ß in such books was graphically an "ſz" ligature modelled after the Schwabacher form of the "ſz" ligature, or whether it was a borrowing of the "ſs" ligature from the Italic tradition. Unfortunately I haven't got access to any early non-blackletter German books, which may have helped shed some light on the matter. Anyhow, whether the ß was originally conceived of as an "ſz" ligature or an "ſs" ligature, it later became identified as an "ſs" ligature, which is why ß normally uppercases to "SS" rather than "SZ" as might have been expected. 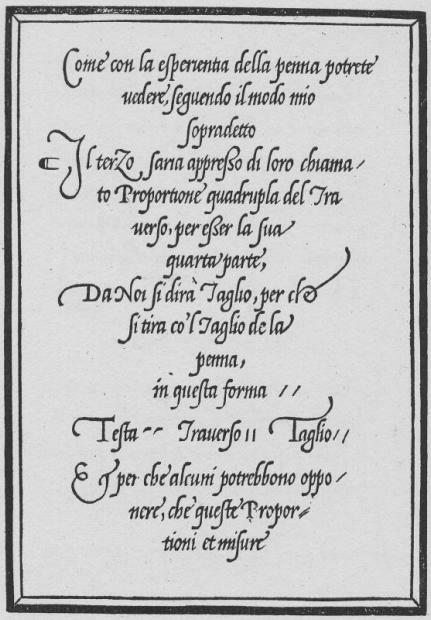 I have been browsing through some of the many Italian books published during the 16th and 17th centuries that are available on-line from the British Library at Renaissance Festival Books, and I was surprised at how relatively uncommon the ligatured long-s short-s (ß) is in these works. It is found in some books, but only in text printed in italic typeface (e.g. grandißima, meßa, etc. , dignißimi , reuerendiß , deuotißimo , appreßo , neceßaria , Serenißimo ), and in most cases alongside words spelled with double long-s or unligatured long-s short-s or even short-s long-s; there does not appear to be any clear rule as to when ligatured long-s short-s is used in preference to double long-s.
On the other hand, many of the books, especially from the middle of the 16th century onwards, do use a common rule for double s in text set in roman typeface; namely unligatured long-s short-s at the end of a word and in the middle of a word before a letter 'i', but double long-s in the middle of a word before any other vowel. This rule is illustrated in the example below. "amatiſsimo" (line 1), "Ducheſſa (line 2), "Illustriſs." (line 3), etc.